David Rocks, O.D. was born in Chicago and raised in Beecher, Illinois. He is a graduate of Northern Illinois University, with a degree in Biology. Staying true to his hometown roots, Dr. Rocks attended Illinois College of Optometry in Chicago and received his doctoral degree. He has furthered his knowledge of eye care by completing externships in prominent clinics in South Bend, Indiana, Louis Stokes VA Cleveland Medical Center in, Ohio, and ophthalmology Grand Rounds at Johns Hopkins University in Baltimore, Maryland. Through the college, Dr. Rocks has also been a part of the Special Olympics optometric team and helped provide eye care to the thousands of participants. 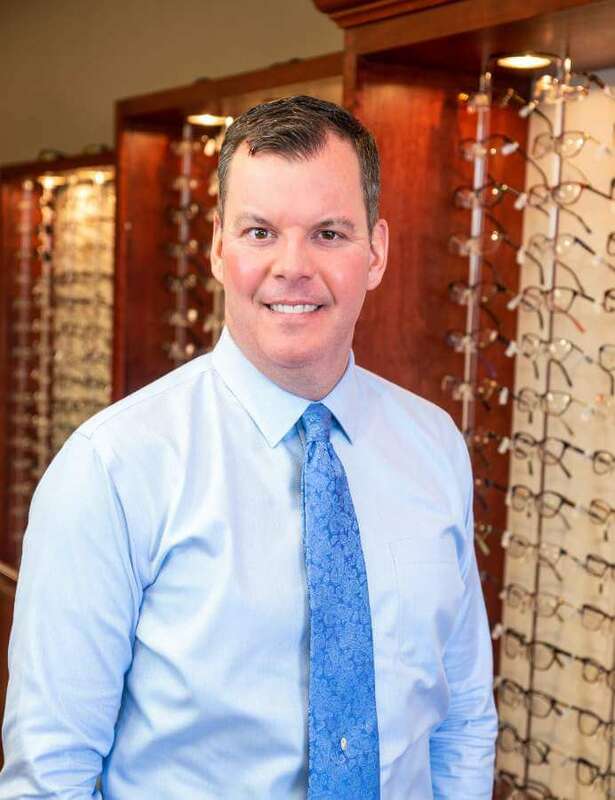 He has practiced in the northern Illinois area for almost two decades and specializes in family eye care as well as treatment of ocular disease. Dr. Rocks is a member of both the Illinois Optometric Association and the American Optometric Association since 1996. To further his dedication to his education, Dr. Rocks participates in several continuing education courses throughout the year. To date he has completed over 220 hours of education to help treat his patients. He has also been published in many media outlets, including Northwest Herald and McHenry County Magazine. In his free time, with his wife, Karen, and three children, he enjoys a variety of activities such as cycling, woodworking, fishing and CrossFit. 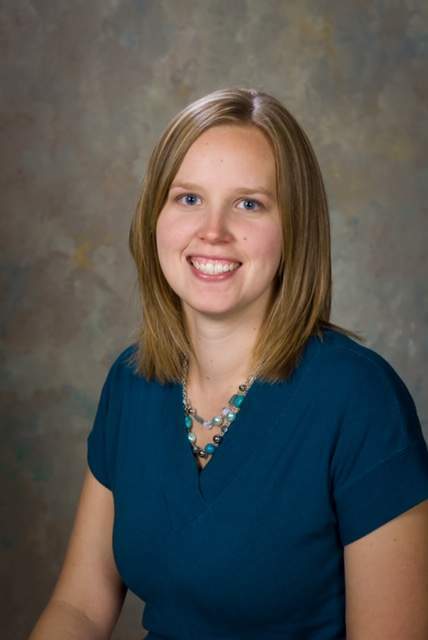 Dr. Kosiba was born and raised in McHenry. She earned her undergraduate degree in Biology from Northern Illinois University. Dr. Kosiba went on to complete her Doctor of Optometry Degree at the Illinois College of Optometry. Dr. Kosiba received extensive training in all areas of optometry including pediatrics, ocular disease and specialty contact lens fitting. She earned academic honors being accepted into the Beta Sigma Kappa Honor Society and Tomb and Key Honor Society. She is a current member of the American Optometric Association and Illinois Optometric Association. Dr. Kosiba enjoys providing comprehensive eye care for the entire family. She is able to diagnose and treat ocular disease, manage visual needs with glasses and contacts, and promote overall eye health. She also provides pre and post-operative care for LASIK and cataract surgery. Dr. Kosiba looks forward to forming a relationship with all her patients to be able to meet their visual and eye health needs. Crystal joined the team at Advanced Eyecare in October of 2008. She processes all medical insurance claims and coordinates patient accounts. She also assists with patient care and enjoys that aspect of her job. Crystal and her husband, James, reside in Algonquin and have four children. In her spare time, she enjoys reading, baking and traveling. Carol has worked in the optical field for eight years and has many years of management and customer service experience. She moved to Lake In the Hills in 2008 from Kansas City. 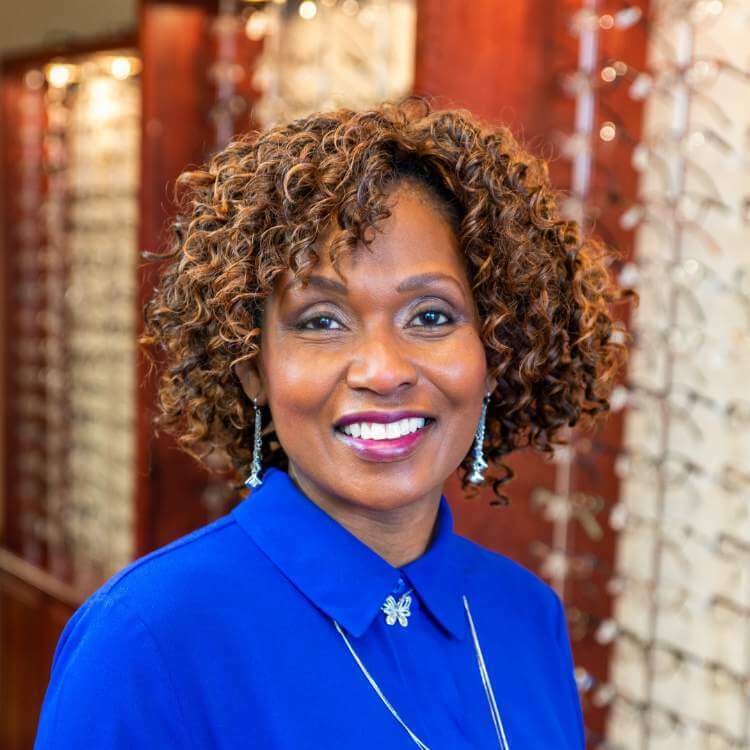 Her favorite part of the job is helping patients with their eye care to SEE GREAT, LOOK GREAT, and building new relationships. In her free time she enjoys going into the city and spending time with her family. 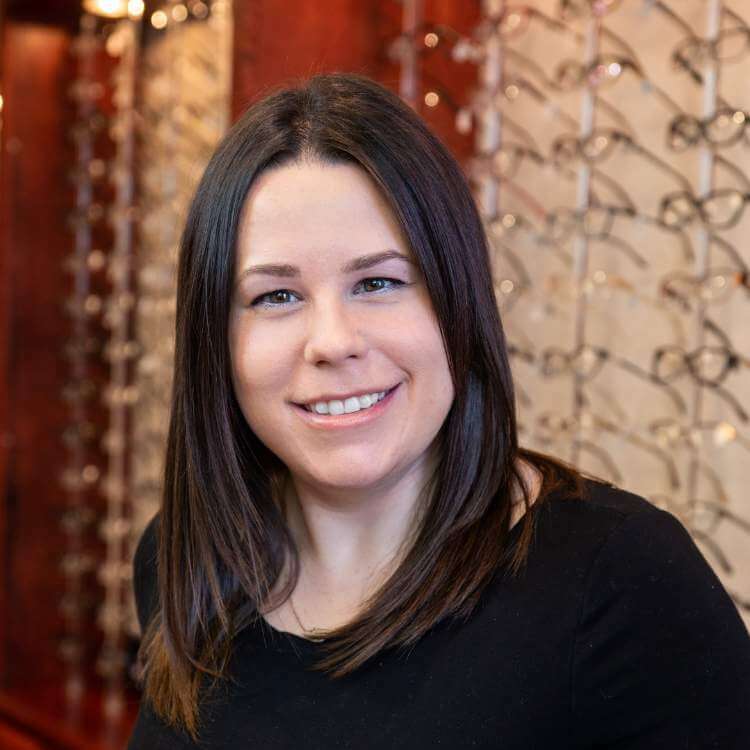 Megan has been in the optical field since 2002 and has been with Advanced EyeCare Clinic since 2012. 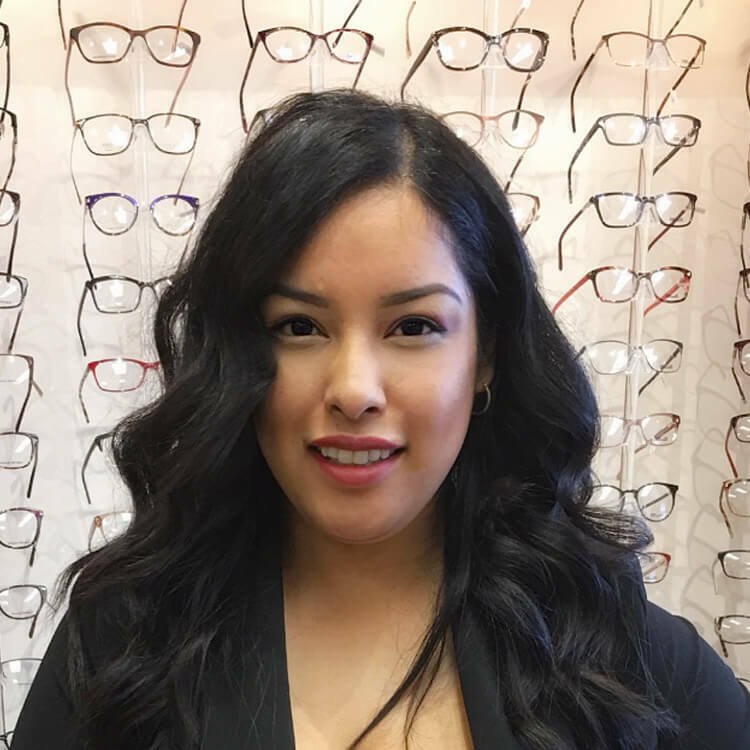 She enjoys all aspects of the optical field, her favorite areas are working with specialty contact lenses, performing diagnostic tests, seeing existing patients and getting to know new patients. In her free time she enjoys spending time with her family and doing local activities. 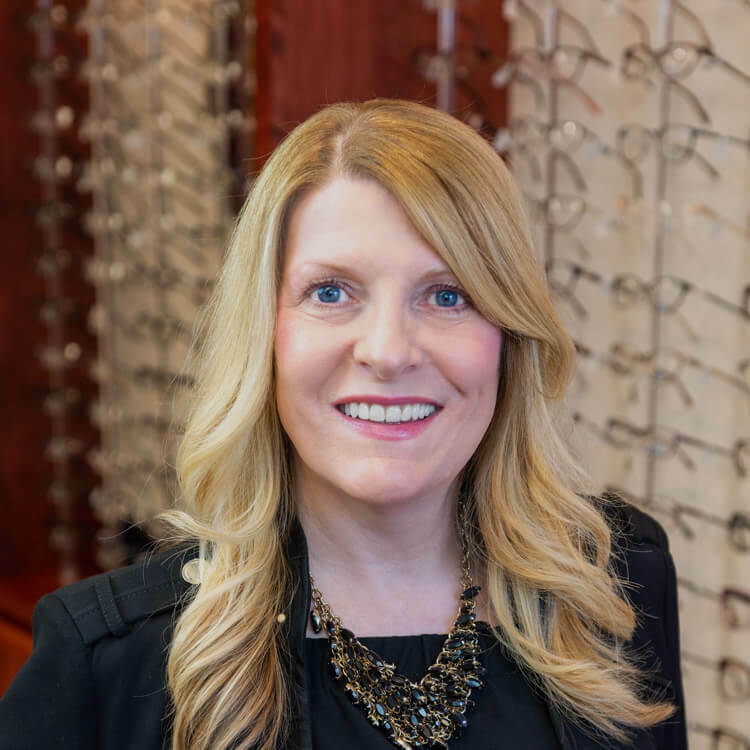 Although new the to eye care industry, Nancy brings with her 25+ years of customer service and management experience with a focus on health, wellness and nutrition. Getting acquainted with and providing care for patients, along with the friendly staff are most enjoyable aspects of the job. A native of Wisconsin, Nancy relocated to Illinois 15 years ago along with her husband and three sons. While managing her own health & wellness business, Nancy enjoys family time, fitness, organic gardening and long walks with her dogs. 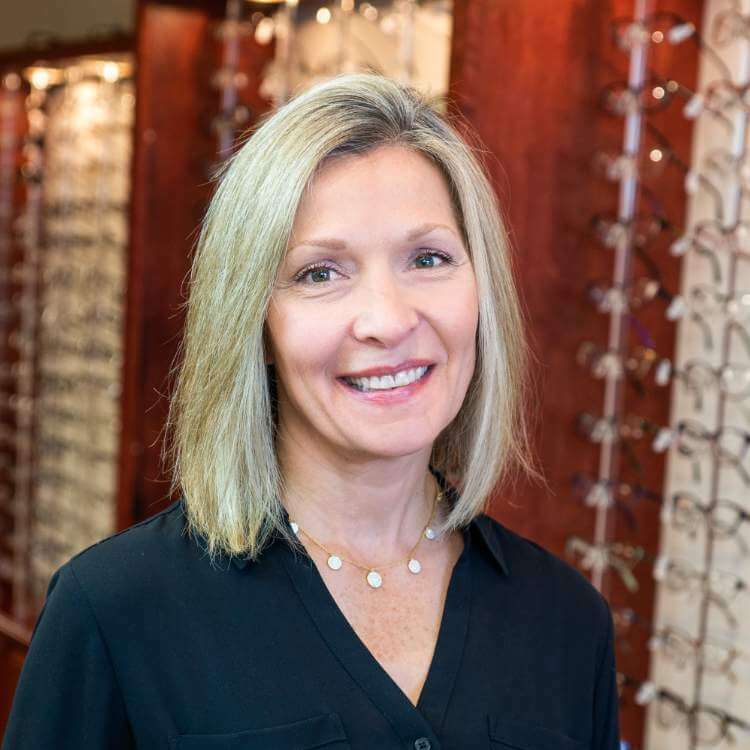 Gloria brings a decade worth of optical experience, as well as many years of management and customer service experience. 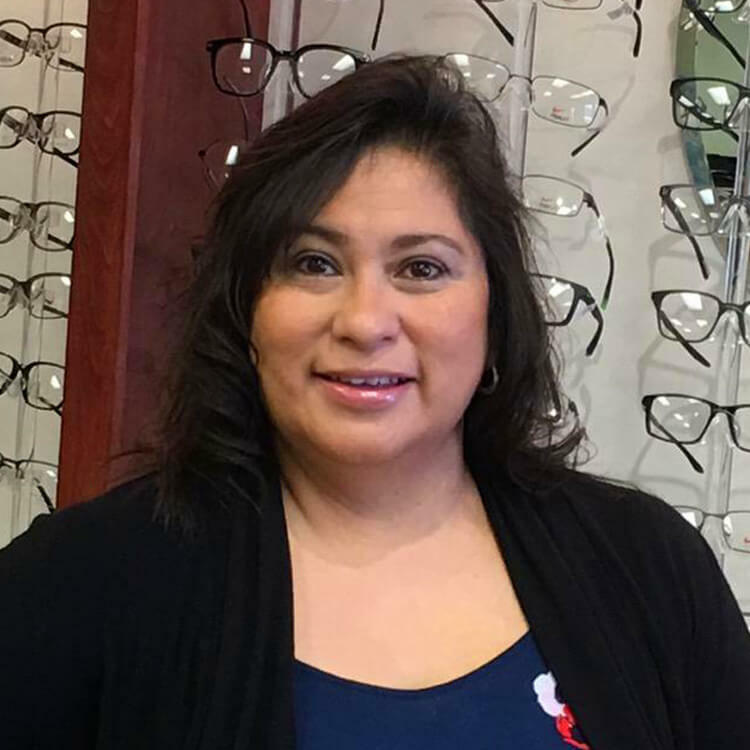 She enjoys educating our patients in their needs, whether it's finding that perfect pair of eyeglasses or helping train a first time contact lens wearer, or simply adjusting glasses / repairs. Gloria says "Always a pleasure to help with the needs of our patients from beginning to end. Working here at Advanced Eye Care Clinic has given me a pride to say not only do I work with a great team, but more so a family, and enjoy building a great relationship with our patients." In her free time she loves being with her family and friends but most of all having her grandkids around and cooking great meals. My name is Veronica and I’ve been in the optical industry since 2009. I strive to do my absolute best to ensure that I meet every patients optical needs. I very much enjoy the family-like working environment that I feel from, not only my co workers, but from patients as well. I also am very fascinated in the technology aspect of working at Advanced Eyecare. When I’m not working I consider myself an avid Netflix watcher and I love spending time with my wonderful family and friends.